1.Thinly slice the salmon and onion. Peel the orange and divide into pieces. 2.Combine all ingredients and marinate in the refrigerator. 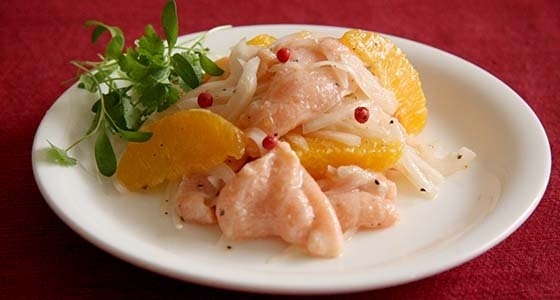 ※Serve with pink pepper if available.